Korovessi studied from 1970-1975 at the Athens School of Fine Arts under various sculptors including Dimitri Kalamara. 1985 marks an important turning point in her work where she became specifically interested in the sound analysis of words, leading to her research at the Centre of Electronic Music founded by Iannis Xenakis. Korovessi begun to create works that show the use of technology, music and science, resulting eventually in the ‘sound – sculptures’ which were later called SonArt. In 1988, Korovessi was awarded by the Municipality of Athens, ‘Work of Communication‘ through a public commission and creates the sound sculpture,’Communication’ (Messogeion Avenue, Athens). The Inmovements exhibition of 1993, the artist’s first solo show (Epoches gallery), was another turning point for the artist, exhibiting works made of wood, metal and stone. In 1994 Korovessi represented Greece in the 4th Sculpture Triennale, France and 1997 saw the artist again awarded for her work and makes the National Resistance Monument, located at Karakolithos, Boeotia. In 2001 Korovessi took part in the Connecting Worlds: Contemporary Sculpture from the European Union Countries exhibition in the John F. Kennedy Center, Washington, USA. The artist officially represented Greece worldwide for the 2004 Summer Olympic Games with solo exhibitions in Crete, Athens, Cologne, Washington, Los Angeles, The Hague, Brussels and London. In 2008, Korovessi was awarded the Silver Olympic Medal Award in the International “Olympic Spirit in Beijing 2008” Sculpture Competition. Her work Peace can be found in a public space in Beijing City. Genesis, 1993 (Ministry of Culture, Greece, Athens), Life, 1997, Water, 1997 and Peace, 2001, critics have argued as Korovessi’s most important works and series to date. From the work Peace a new body of work emerged known as the Balancer series. Korovessi is currently working on larger scale projects works continuing to explore the use of sound and image. In 2013 Korovessi held a major solo exhibition at the National Archeological Museum in Athens covering works dating from 1986 to 2013. The artist opted to present these works throughout the entire museum’s classical environment, in order to create a dramatic visual dialogue between modern sculpture and that of Greece’s ancient past. A bronze edition of Irini (Peace) A was installed in the entrance to the museum for the duration of the exhibition. Their exhibition at the museum confirms Korovessi as one of the most significant living artists in Greece. 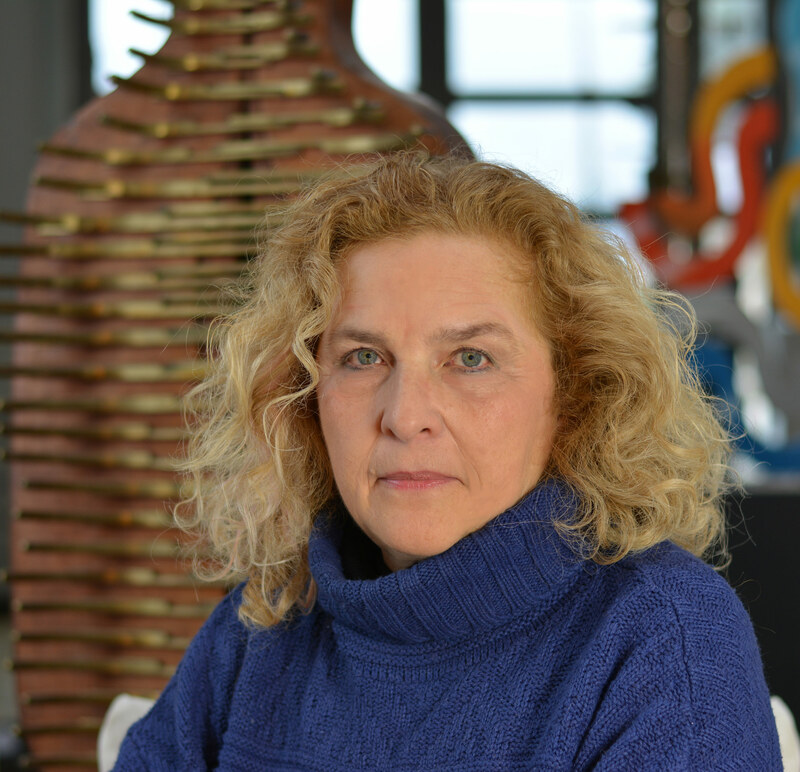 Aggelika Korovessi has undertaken many public and private commissions, her works can be seen in Athens and museums throughout Greece and in collections worldwide. The artist lives and works in Athens, Greece.